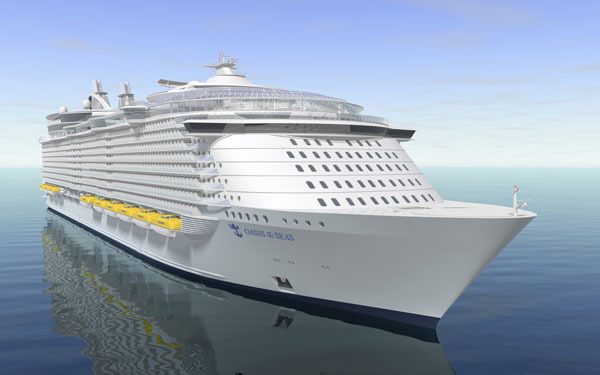 In its latest evolution in cruise ship design, Royal Caribbean’s Project Genesis now takes the stage. The first of many neighborhoods – a concept which provides vacationers with the opportunity to seek out relevant experiences in various locales throughout the ship based on their personal style, preference or mood – is Central Park. An architectural marvel, Central Park brings the outdoors in, with an open-air space that reaches to the sky above. Lined with balcony cabins and reaching six decks high, it is 62 feet (19 meters) wide and 328 feet (100 meters) long. Central Park will feature the most upscale offerings of all the soon-to-be unveiled neighborhoods, while providing guests with more choices than ever in a tranquil, outdoor space. 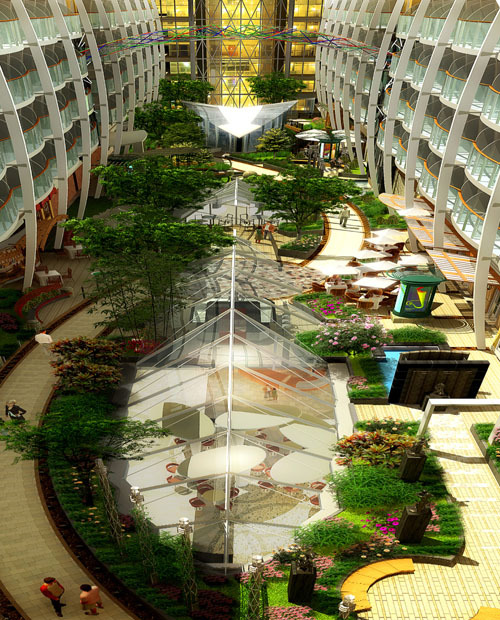 When she launches, Project Genesis will be the largest and most revolutionary cruise ship in the world. An architectural marvel at sea, she will span 16 decks, encompass 220,000 GRT, carry 5,400 guests, and feature 2,700 staterooms.